The proliferation of do-it-yourself email signatures found in many companies today isn’t just brand-neutral, it’s brand-negative! Because email signatures are (seemingly) so easy to create, people typically make their own. This is like saying to a new-hire, “Here’s our logo, go make yourself a business card.” Ridiculous, right? Additionally, there’s an enormous misconception by non-technical computer users that what an email message looks like as you click SEND is what it will look like to the recipient. Wrong! Every email message, the body and the signature, is actually a small HTML computer program that gets transmitted from one computer to another (or smartphone or tablet). The device that receives this program then reads the HTML and displays the email message based on its interpretation of the HTML instructions it’s received. The better the HTML you send, the more reliably it will appear on the myriad of email programs and devices in use by recipients. There’s no promise of perfection, but by sending strong HTML your results will be very good. The result of the DIY approach is a hodge-podge collection of mismatched email signatures that perform sub-optimally, and sometimes miserably. As I said, this is not brand-neutral, it’s brand-negative. Why Such a Problem? I believe there are two core problems. 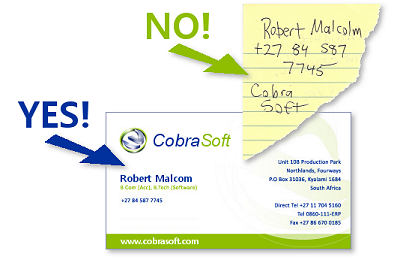 The first is that email signatures have low perceived value. Email has emerged as a communications channel over the past fifteen years or so. As we began using email, people gradually learned to add a “Sincerely” followed by their name. Then they added a phone number, then a website address, and so on. That’s about where we are today. Your email signature doesn’t feel like it has any value, because all it’s ever been is a few keystrokes followed by a click of your SAVE button. If you were to be hired by a new company, the chances are slim that you’d even think to ask about a corporate email signature. Conversely, you’d likely be surprised to discover that they didn’t issue business cards. So, here we have two things, quite similar in nature, one having little perceived value, the other being a basic of business essential. The lack of perceived value leads into the second problem - email signatures are actually very hard to make, and very hard to manage over a wide-scale deployment. Almost all the IT people I’ve worked with over the past fifteen years view email signatures as a thorn in their side - a big hassle for something that no one values very much, but at the same time, is intensely personal on an individual basis. It adds up to a lot of largely unappreciated work. In the United States, as of 2013, law firms are the lone exception - email signatures have gradually become a legal industry standard. Within this vertical market the use of high-quality email signatures is prolific, and IT professionals at law firms of all sizes take their email signature programs seriously, striving for the best results. When an email signature program meeting these requirements is put in place, there are a multitude of benefits. First and foremost however, is the sheer professionalism that is reflected in the sign-offs to your day-in and day-out email communications. I’ve been asked, “What’s the ROI, how do I measure the performance? “ It’s my belief that unless you’re questioning the validity of using business cards in your firm, you shouldn’t be questioning the validity of implementing a managed email signature program. Creating an HTML template that is then manually edited and installed for each user in the firm. To achieve a reliable result, this probably needs to be done by an IT pro who is experienced in HTML programming for the email environment. Use of a software program that automatically pulls user data from your “Active Directory” and merges it into a signature template that then becomes the default signature for each user. Use of an online signature creation service that prompts users to enter their contact information into a form and then produces the finished signature ready for installation. Which of these approaches is the best fit depends upon the size of your company, the availability and motivation of the IT professionals involved, the integrity of your Active Directory, and your budget. 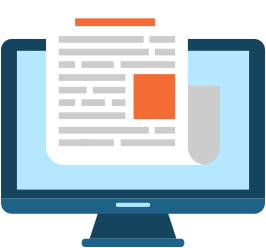 Manually Edit an HTML Template: This fits companies up to 50 users where a skilled IT pro is available to oversee the creation, deployment, and maintenance of the email signature program in a hands-on way. This may be done using in-house IT staff, your website design firm, or an IT firm that you contract for services with. Use an Active Directory Driven Software Solution: This fits companies of 50 or more users where IT pro’s are available in a dedicated fashion, and where the firm’s Active Directory is kept fairly complete and current. There are a number of reputable vendors offering this type of software. Use an Online Signature Creation Service: This fits any sized company and can largely remove the burden from IT professionals, shifting control to the Marketing/Communications or HR staff in the company, while transferring the technical burden to the vendor of the online service. This service is the service we offer here. Regardless of which approach you take, the benefits to your brand, and the individual professional personas of those in your firm, will be immediate and well worth the effort and cost.